Taking care of your teeth goes far beyond just brushing and cleaning your actual teeth. Full care for your teeth must include full care of your mouth. One important area to focus on is the health of your gums. Your gums are responsible for keeping your teeth in place and protected from harm. A variety of gum diseases can actually lead to irreversible damage to your teeth and the bones found in your mouth. Many patients who visit our office fall within a spectrum of periodontal disease, ranging from an inflammation of the gums (gingivitis) to a chronic disease of the gums and bone (periodontitis). These diseases are usually painless but left untreated, they can lead to serious damage and tooth loss. Our doctors and their staff can detect and treat developing periodontal diseases early before irreversible damage is done. When you visit Frederick Smiles Dental Care, you will receive the greatest care possible from your periodontist. 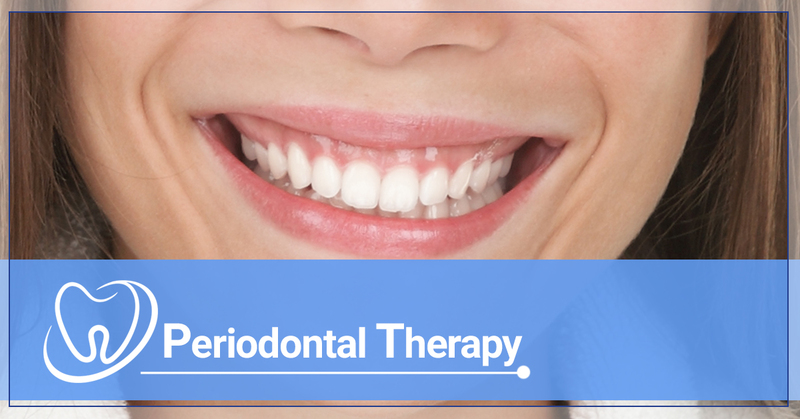 We use the latest technology and periodontal treatment techniques to give you a thorough examination, monitoring the health of your teeth and gums. We understand that over time, it is easy for the health of your gums to deteriorate, leading to long-term issues. We will work with you to find the right solutions for your unique needs and to ensure the health and beauty of your smile. Depending on what issues you are facing, we will employ the proper method for cleaning and repairing your gums. One common method is to provide a deep-cleaning through scaling and root planing. This is the ideal place to start controlling gum disease, as it allows you to tackle the root of the issue. We will remove plaque and tartar from beneath the gum tissues, using specialized instruments. If you have severely damaged gums with areas of lost gum tissue, we will work to repair the area. Gum damage can lead to tooth rot, due to a lack of protection for the teeth. Gum grafting is one method employed to remove gum tissue from a healthy area and place it where gaps exist. Your mouth does not need to suffer as you age. In fact, if you properly care for your teeth and gums, you can enjoy a healthy smile for years to come. As your local periodontist in Frederick, we encourage you to take the steps needed to keep your mouth healthy and your pearly whites sparkling. One way you can prevent gum disease and damage to your mouth’s bones is by brushing and flossing daily. By practicing proper dental hygiene, you can ensure that your teeth have the best shot possible at staying healthy year after year. Quitting bad habits, such as smoking, can also go a long way in protecting your gums and teeth from harm. Even if you take excellent care of your teeth and gums, it is still a good idea to schedule an appointment with our team at least once a year for a professional cleaning. We can remove plaque and tartar that are difficult for you to reach using at-home methods. Reach out today to learn more about how a periodontist can help you keep your teeth protected from gum disease and how you can ensure the bones in your mouth stay healthy and strong. Our team is ready to help so contact us via a quick phone call or fill out our online form to learn more about the variety of services we offer at Frederick Smiles Dental Care.